GBTA held another informative webinar on Tuesday, May 29 highlighting the results of a study compiled by Rockport Analytics on the economic impact of business travel in Canada. The webinar also featured representatives from Air Canada and BCD Travel, the study's sponsors. The following are my observations and takeaways from the webinar. GBTA's BTI Global Outlook - This is an exhaustive study of business travel, productivity and growth published by GBTA since 2009. Statistics Canada's Travel Survey of Residents of Canada (TSRC) - Published every quarter, this is a major source of data used to measure the volume, characteristics and economic impact of domestic travel. The survey is comprehensive and covers aspects of travel including origin, destination, duration, type of accommodation, mode of travel etc. It's important to note that this survey covers all kinds of travel, not just business. Statistics Canada's International Travel Survey (ITS) - The ITS provides statistics on travellers to and from Canada. Information is collected on country of residence, reason for travel, method of transportation, trip expenses etc. The following is a visualization of the results of the study on trip characteristics. All data is courtesy of Rockport Analytic's research. The interactive charts were compiled using Google Data Studio. Even though Vancouver ranks second for average spend per trip at $1,733, Edmonton's edge in terms of volume is enough to push it over Vancouver for total spending at just over $2 billion! The infographic below summarizes the research findings. All data is courtesy of Rockport Analytics. 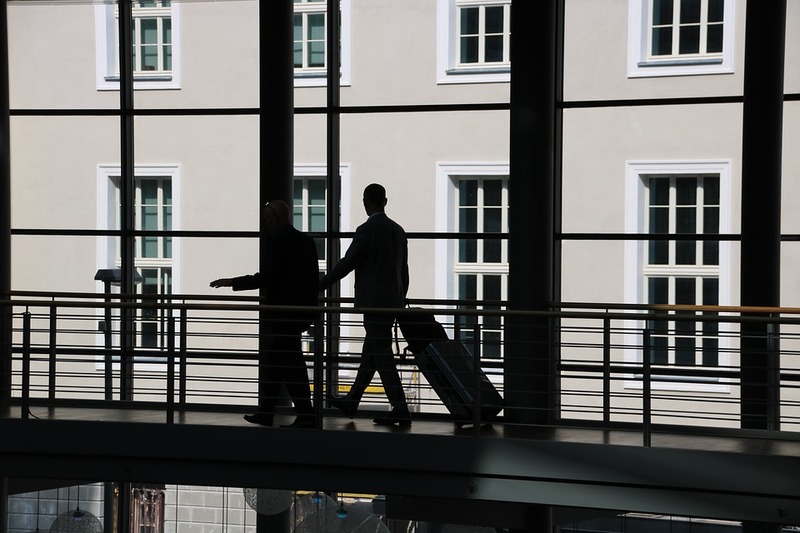 Business travel forms a crucial part of overall travel and is a major benefactor to the economy. Consider that Florida - the state that recorded the second highest number of overnight stays related to business conventions and home to the nation's most visited destination, Orlando - is on a push to regain business travel spending by capitalizing on "bleisure" - business + leisure. As if 116.5 million visitors and $112 billion in spending weren't enough! Business travel in Canada is responsible for to 2.6% of Canada's economy at a staggering $40.1 billion. Every dollar spent on business travel returns $1.12 to the Canadian economy, thanks to the multiplier effect. Furthermore, 1 in every 32 workers owes his/her job to business travel. The webinar provided some great perspective and context to business travel and its impact. The effects are especially pronounced in a country like Canada where 90% of trips are domestic, 82% of which are under 320 kms. It was also interesting (to me, anyway) to note the disparity in spending between Edmonton and Calgary and I would have loved to dive into this in more detail.